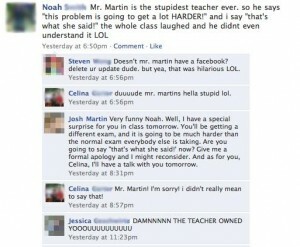 A Teacher OWNS a Student on his STATUS UPDATE! Next PostNext OMG. THIS GIRL IS SICK AND EVIL. SHE MUST BE STONED TO DEATH!! !